I covered some new features in part 1. Here I will cover few more. 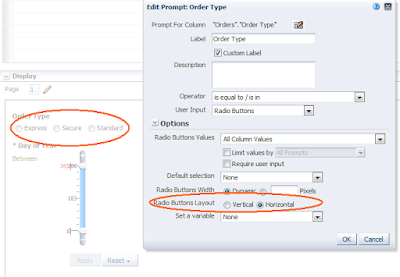 Some of the features covered here are available since 11.1.1.7.10 and 11.1.1.7.16 but are new for many OBIEE users. 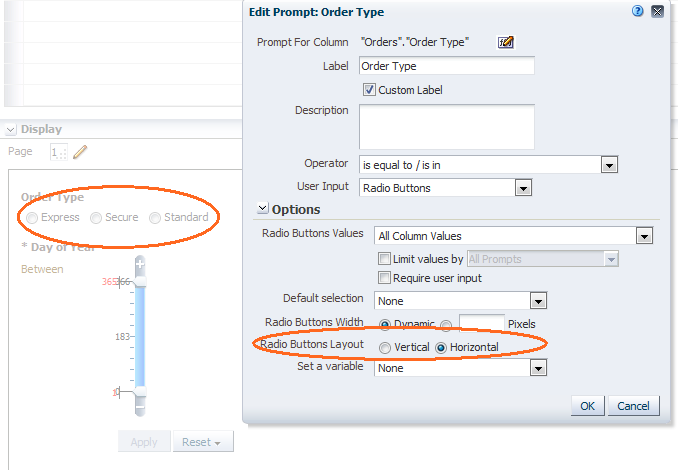 There is a new feature in Prompts: Ability to arrange check boxes and radio buttons layout Horizontally as well. 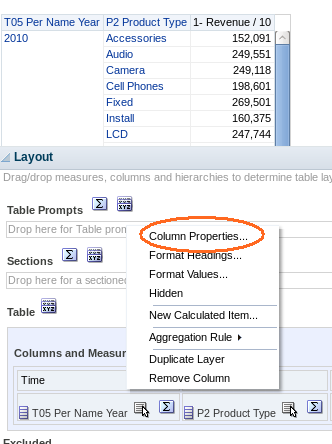 The most interesting Prompt feature is not defined in Prompts but rather at the Dashboard definition page level. 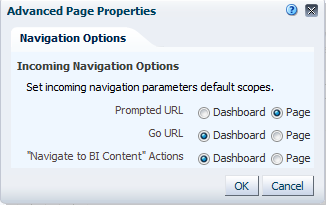 It's the ability not to run the dashboard, before prompt is applied. The normal behavior will resume after selecting prompt values and pressing the Continue. this happens only the first time. For additional details see the Users Guide. In Graphs, when selecting Stacked Vertical Bar or Stacked Horizontal Bar, and setting the data labels to "always", we have centralized aligned data labels. 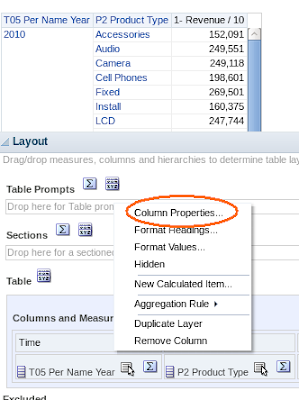 In Tables, Pivot and similar you can see Column properties from the edit window as well. 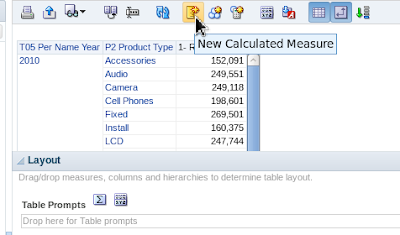 in the same place we can also create New calculated Measure. may also contain duplicated values when ENABLE_DIMENISONALITY is set. Personal note: Shiran, it was made for you.